$166.01 This item is selling for $166.01 on eBay. 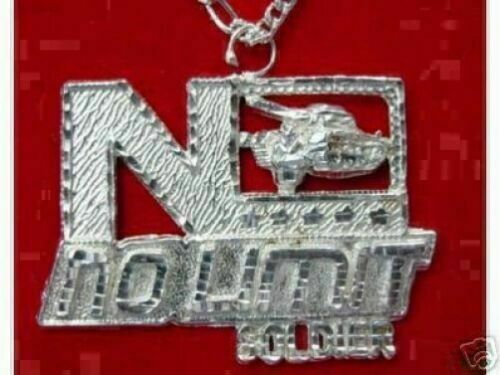 SquareTrade AP6.0 EXTREMELY RARE NO LIMIT SOLDIER PENDANT BUY FROM ANER YOU CAN TRUST!!!! I am Paypal Verified so I can be trusted!! 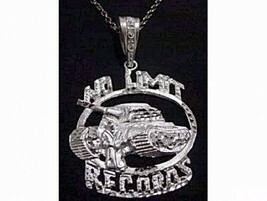 INCREDIBLE STYLE NO LIMIT SOLDIER PENDANT REAL STERLING SILVER! I am happy to bring you Probably the coolest Pendant to ever exist! This Pendant looks Incredible and is real sterling silver! A definite must have Rare Pendant Look at the amazing style of this Pendant! THIS LISTING IS FOR BOTH CHARM PENDANTS SHOWN. CHAINS NOT INCLUDED Reflects beautifully in the light Shipping: Domestic shipping: I am happy to get your item to the post office within 48 hours after your payment has cleared. I ship products using Canadapost Airmail, therefore it could take up to: For packages delivered within Canada shipping could take approx 4 – 14 business days -To the USA approx 10 – 15 business days for delivery -Anywhere else is approx 4 – 6 weeks for delivery. If you are in a rush to receive your package you can contact me on additional costs to upgrade to a faster delivery service and I can give you price quotes. Returns and Refunds: Return Policy - We are proud to offer 100% satisfaction guarantee within reason. *must be returned within 7 days of receipt and in the same condition as received. All returns are subject to a 15% restocking fee and less shipping. Exchanges will not be subject to a restocking fee. Buyers are responsible for return shipping charges. Please contact us before you return your item. If there are any questions or concerns regarding merchandise received please email us so we can resolve any matters and suggest any other options that might be available. Communication: Please email your questions and concerns through the messaging system. We check email frequently. If you do not receive a response to your question within 48 hours - it's possible we may not have gotten your email. Feedback: I strive to be a 5 star seller. Your feedback is critical to my success . I ask that you leave me a Positive feedback with all 5 stars, so that I can be set apart from my competition . If you feel that you cannot leave a Positive comment with all 5 stars - I WILL EARN IT. Please do not hesitate to contact me for any reason. I am here to exceed your expectations!